Would you even consider neutering this puppy? He is just six weeks of age. The RSPCA do and apparently believe it is ethically and morally OK to do so. As do some breeders, rescue centres and many vets. I wish they would all just live by a simple code "First Do No Harm"
Do they imagine those hormones are surplus to requirements, when they are tinkering with nature at such a young age? It beggars belief that any organisation. Never mind a one with a royal appointment, could ever consider removing these little pups from their mother and put them through a major operation at such an important and tender age. 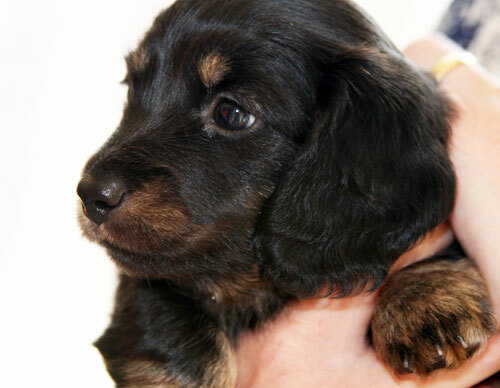 A recent study and paper outlines the major problems that are caused by removing puppies from a litter too early. Click Here It shows that it causes major behavioural problem. I believe these actions contravene the Animal Welfare Act of 2007. The RSPCA along with other organisations were to some extent instrumental in the inclusion of the “duty of care” part of that legislation.